While like several people you also know, it’s not guarantee that you won’t loose your house keys at one point or another, you only just wait for the day with trepidation. In some other cases, it is not just loosing keys but maybe getting your door jammed so that it cannot open. None of the above two experiences is better to go through anyway. They’re nasty experiences because in most cases, you will end up breaking your door. When talking of breaking the door to gain access, several nasty issues come up. One is getting so tired of the detrimental action of breaking a metal door. Second is going through a hard time trying to get a reliable person to break the door for you. But to avoid all this unnecessary hassle, you only need to learn about the professional locksmith service, Port Locksmith Adelaide. Port Locksmiths is their website that can change your experiences and trepidation about loosing keys and damaging locks into happy moments and peace of mind. 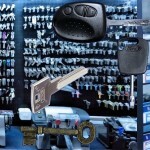 The experts here specialise in unlocking doors whose keys are lost or whose locks have been damaged. The skilled individuals are part of a very dedicated team of locksmith who has vowed to offer very reliable residential locksmith services in homes around Adelaide. Their expatriate services include emergency response to call of duty to repair locks. Whenever you are faced with a locks emergency probably you have locked your keys inside or maybe you lost them on your way home, calling Port Locksmiths whatever time of day or night is the wisest thing you ever do. The company understands the security risks that might be involved when you are marooned outside your house or business because you do not have the access. They will be at your rescue within the shortest time possible. To enable this especially in Adelaide, they ensure that their individual locksmiths are not all seated at their headquarters waiting for that emergency call but they are strategically placed in centres about Adelaide. Whenever you call the head office with a description of your emergency situation and physical location, the locksmith nearest to you is sent. Apart from emergency response, they ensure that minimal damage is caused on your door during repair. Their charges are also something you will marvel upon, because they are not the kind of company that will take the advantage of your situation to extort money from you. Visit the site today and you’ll discover what a vital contact you ought to be having on your phones contacts list.